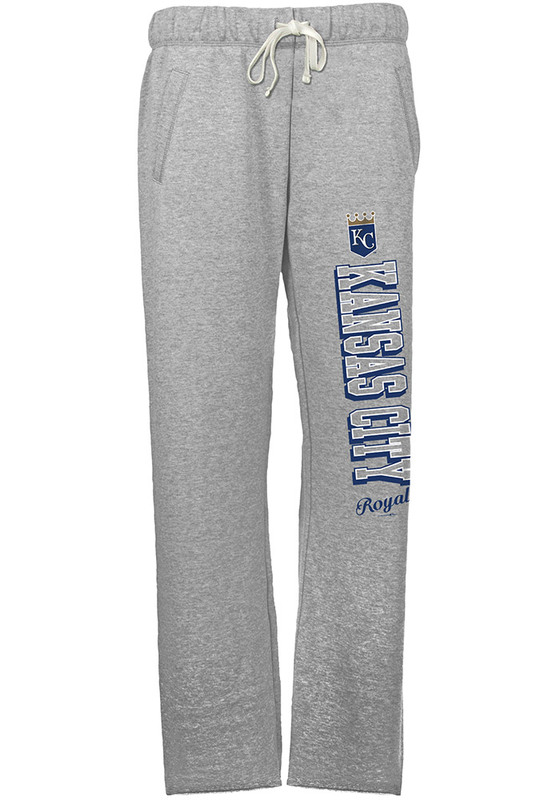 Snuggle up in these Kansas City Royals Womens Grey French Terry Sweatpants! You'll love relaxing at home or at the game in these KC Royals Royals Sweats, which are a great way to show your Royals support in comfort. These Kansas City Royals Sweatpants feature a large screen print team name and logo down the left leg. These French Terry sweatpants have draw strings and pockets for ultimate comfort and team spirit.